The Montgomery bus boycott energized the civil rights movement. The international boycott of South Africa helped bring an end to apartheid. Can a boycott of Israel bring an end to the occupation of Palestine? 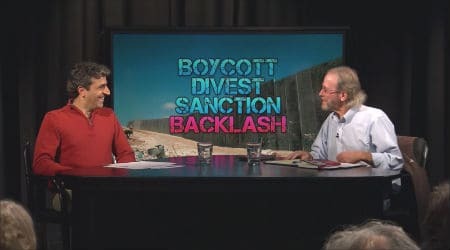 As the BDS campaign has increased in international participation, a backlash from opponents has begun, taking various forms, from new restrictions on free speech on college campuses to proposed legislation barring the state of California from doing business with any company that participates in the boycott. This entry was posted in Videos and tagged BDS, israel, palestine by PPJC Admin2. Bookmark the permalink.